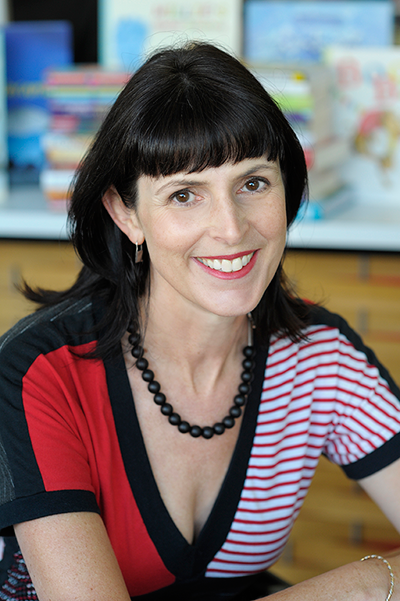 After more than 20 years experience in the book industry, Jacinta di Mase started her own agency in 2004. The agency is committed to the creation of quality books that engage, entertain, and inspire. Agency staff have a good track record for spotting works with commercial potential and working with creators to maximise that potential. The agency represents a diverse range of award winning, and emerging writers and illustrators across all areas of the publishing market including fiction, non fiction, and books for children and young adults. Danielle is a graduate of RMIT’s Professional Writing & Editing program, and holds a Bachelor of Communications from Monash University. In the past she has been a regular columnist for Kill Your Darlings Literary Journal, and the Stella Prize Schools Blog, writing mostly on the intersection of young adult literature and feminism. In 2015 she was elected to the grassroots LoveOzYA committee, celebrating and elevating Australia’s national youth literature. And in 2017 she was editor and contributor of ‘Begin, End, Begin: A #LoveOzYA Anthology’, a collection of Australian young adult short stories – inspired by the #LoveOzYA movement – and released by Harper Collins. She joined Jacinta di Mase Management in 2016, as an agent – seeking Australian authors of Young Adult (YA) and Middle Grade (MG) fiction works. Now, more than ever a writer needs an agent. Publishing is in a constant state of flux with new technologies presenting radical changes to old publishing models. Editors leave publishing houses; Publishing houses are sold, or taken over, or sometimes abandoned. A writer needs a buffer to protect them during times of change. An agent knows the publishing industry and can offer this protection. An agent is in the industry at the ground level; an agent is there for the writer.